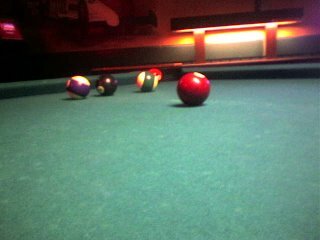 this year we’re changing things up a bit and playing pool occassionally on different nights of the week or different places – A couple weeks ago we went back to one of the first bar/pool-halls we shot at – it had been years since going there & I really enjoyed it. Didn’t recognize anyone and was able to shoot a lot of pool. I must be a lot better than years ago but I still have a lot to learn.